(Lindsay, ON, March 2, 2016) Earlier this month, the Ontario government announced a new $100 million home energy retrofit program to upgrade only natural gas furnaces, water heaters and insulation. This leaves many who live outside the natural gas corridor without access to this valuable energy efficiency and bill-reducing program. The Canadian Oil Heat Association (COHA) hopes the Ontario government will take the interests of rural Ontarians into account when determining the details of the new retrofit program. “If the Ontario government is truly interested in promoting energy efficient home heating for all Ontarians, it should provide equal access to this program for both urban and rural residents,” said Stephen Koch, President of COHA. More efficient and cleaner oil furnaces make burning oil in rural areas a smart heating choice. High-efficiency (up to 95% AFUE) fuel-oil powered home furnaces are widely available and offer the highest BTUs per litre (50% more than natural gas). Additionally, upgrading your existing fuel-oil home heating system is less expensive than converting to gas heat. The Canadian Oil Heat Association (COHA) was established in 1983 to develop to support a safe and reliable oil heat industry. COHA represents a membership of over four hundred oil heat professionals, including heating oil dealers, major oil companies, equipment manufacturers, wholesalers, contractors, trainers and other professional stakeholders. 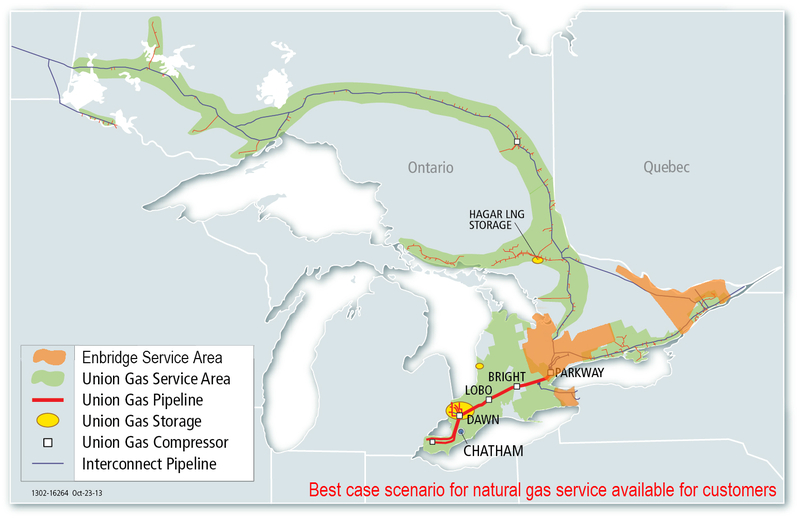 *Natural Gas Distribution Network Map was derived from Union Gas and Enbridge maps. Note: Service is not available for all residents located in the green and orange shaded areas of the map.